What’s Driving Russia? Fools and Bad Roads? Low-speed prang in the village. Much shouting ensues. Let’s talk about Russian roads and drivers! No really! Attentive readers may note I wrote about the experience of driving in an earlier post. But talking in general about Russian roads and driving is a really tricky, as indicated by a recent exchange on Twitter. I had mentioned that increasingly punitive traffic laws were designed not to increase safety, but to raise revenue. A point that is often made the world over, not only about Russia. However, as a twitterer pointed out to me, anything that does improve safety has got to be positive, right? This got me thinking about an ethnographic dilemma that I’ve been trying to solve in a piece I’m writing for publication at the moment. It boils down to this: How, when writing about places that from time immemorial have been presented as somehow backward, lacking ‘culture’, or just plain unpleasant environments, do scholars avoid contributing to those one-sided perspectives? And this goes for ‘roads’ and ‘road culture’ too. Russians are guilty of this – the famous Gogol aphorism: ‘Fools and Bad Road’. His summary of what was wrong with nineteenth-century Russia is as true today. By any measure, Russia is an outlier in terms of road deaths in highly industrialised countries. 53 deaths per 100,000 vehicles in 2013. Canada is around 9 / 100,000. (The UK is 5, but it too is an outlier – in the other direction). In the article I’m presently writing, I try (and probably fail) to balance a perspective that says, yes, Russian roads are objectively unsafe (poor design, maintenance, climatic factors), and Russian driving culture is poor because of the way that many drivers did not meaningfully ‘learn’ to drive or ‘pass’ a test. Alcohol use, poor car maintenance and safety are also important. Another truism is the risk-taking culture that is prevalent, especially among men. (I don’t think age is a factor here, some of the craziest are older blokes). However, these culturally essentialist ‘explanations’ of risk-taking (pofigism), and aversion to rules, are too easy (some would even call them forms of Orientalism). ‘Culture’ is a small part of the problem, in reality. Much more important is a state that does little or nothing to improve safety, and safety culture. Even more significantly, through its daily and longer-term policies, pronouncements and even small actions (like tinkering with the status and rules about what Road Police can do), the state and its representatives show that they values human life so little. Indeed, a great article on this topic (victim blaming) from nearly ten years ago calls this a kind of ‘misdirection’ by an incompetent, uncaring elite. Such articles, such as this similar one from the Economist, suggest a technocratic/technological fix. As an American journalist put it in 2012: ‘roads reflect a government’s ability to project power and to harness bureaucracy for the common good’. But what if the state has no, or at least a very incoherent conception, of the ‘common good’? Effectively, the common good in Russia is ‘delegated’ to atomised individuals, or only occasionally tolerated NGOs and grassroots organisations. This informal mode of delegated governance is something I’m thinking about a lot at the moment and the ‘incoherent state’ is my working definition of this, but I’d like to improve on it. However, things do change for the better, and Russia is quite astounding on this account. Responding to delegation (or abdication of the state’s responsibility), driving standards among new drivers are subjectively better now than ten years ago. It’s unclear whether this is partly because of better ‘testing’ while learners. Very rarely in the last decade have I witnessed drink-driving (I did previously see this quite a lot). Similarly, about 6 years ago drivers started spontaneously using a ‘language’ of courtesy – flashing their hazards when you let them overtake you; people do wear seatbelts and use child-seats. I’ve had trouble getting used to cars stopping for me while I’m waiting to cross a pedestrian zebra crossing. Last time I broke down, a motorist stopped to ask whether he could lend a hand. While I don’t enjoy driving on highways in Russia any more than I did twenty years ago, driving culture has certainly improved a lot. This entry was posted in automobility, Russia and tagged automobility, car culture, incoherent state, orientalism, pofigism, risk on 11/12/2018 by Jeremy Morris. Automobile masculinities and neoliberal production regimes among Russian blue-collar men. This post is a bit of a ‘cut and shut’ – British slang for two written off cars that have been welded together, cleaned up and sold to an unsuspecting client. I had written a little about the meaning of ‘car culture’ in my book – how there seemed to be two groups of men in my Russian town – those who had a more ‘rebellious’ and fun-loving attitude towards car ownership – and frequently bought ‘bangers’ to tinker with. And those that aspired to pricer foreign and quasi-foreign (the new range of Ladas) cars. The latter group also associated their car ownership with ‘making the grade’ in new, non-Russian factories. A classic class-consumption-neoliberalism paper was emerging. Then in 2015 two opportunities arose – to publish with Charlie Walker on Global Masculinities, and the write a second paper on Automobilities for A Workshop in Regensburg on the Postsocialist street. However, some of the material for that workshop wasn’t so useful for Charlie’s book chapter and so I cut it. The book chapter is more about subaltern masculinities and the possibility of agency – dramatized by choices and talk about car ownership. It, perhaps not so successfully, makes use of Lazzarato’s ideas on machinic enslavement. The paper – the short version follows – is more about challenging the western-centric ideas about automobility that emerge from Urry’s work. The main point is that car use can be influenced by consumption and status norms in the West, yet have other meanings locally, many of which revolve around sociality. The local shop. ‘avtolavka’. ‘Mam! Avtolavka priexala!! !’ The highlight of a village kid’s day. Working-class men have found themselves in an unparalleled position of subalterneity in such societies (Kideckel 2002). They are faced with an ‘illusory corporatism’ (Ost 2000): state, and employer relations are exclusory and seek to impose a strong form of neoliberal labour disciplining and dispossession. Elites and the emergent middle classes alike see workers as little more than politically quiescent, mechanical-turk operators of moribund Soviet plant in dying factories of industrial hinterlands far from Moscow. …they should be grateful to be given the privilege to unthinking remake the self into a pliant, self-sacrificing, and interchangeable cog in the newly emergent transnational operations of manufacturers of global capital. Car ownership and the DIY skills in repairing mechanically simple old Russian cars speak to issues around the display of working-class masculinities In addition, the paper explores automobility as emblematic of uneasy social mobility and fraught engagement with new neoliberal regimes of work on the self and flexibility. Choices about what kind of car to own, whether to use credit, to buy Russia-built or ‘foreign’, whether to learn from others how to maintain it or pay a stranger – all these forks in the path of becoming automobile are statements of what kind of man a person wants to be. They are similarly subject to interpretation by others in a working-class setting. Conversations and conflicts about cars come to dramatize aspects of literal and social class mobility, immobility. Cars as markers of masculinity intersect with both aspirational fantasies (that largely remain inaccessible) and stubborn retrenchments of more traditional identities. These ‘debates’ bespeak an uneasy relationship with the ‘desired’ car as status symbol and object of labour in the ‘Western’ factories which employ the subjects of this research. Private car ownership and use as representing differentiated performances of masculinity has long been a staple of youth studies. However, the majority of research has focussed on the automotive articulations of gender in terms of subcultures; cars express a form of refracted hegemonic masculinity – particularly among the dominated fraction of working-class male youth in the West (e.g. Bengry-Howell and Griffin 2007; Lumsden 2010). Often examining street racing, cruising, and car-modification – (e.g. lowering/low-riders), research on automobility comes to be associated with delinquency and deviance, which is less representative of a non-Western experience. locally contrastive meanings – collective affordances extending to the realms of shared car ownership and homosocial tinkering in garages (Kononenko 2011). Similarly, a classed perspective finds car ownership less to do with conspicuous consumption, but as a store of value (ibid), and, in the creation of ‘carholds’, automobility, and mobility itself, as a household, rather than individual achievement (Broz and Habeck 2015). Western-centric assumptions at the heart of Urry’s seminal scholarly treatment to show how post-socialist automobility intersects with masculinity and neoliberalism in ways that contrast with Sheller’s and Urry’s original definitions (Sheller and Urry 2000). Automobility in Russia has, since the end of communism and the explosion in private ownership, expanded in many ways as Urry predicted – as a ‘self-organizing autopoietic, non-linear system’ which ‘generates the preconditions for its own self-expansion’ (Urry 2004: 27). In the recent post-socialist era Russians, as in the West, have come to experience the automobile as the quintessentially manufactured object and status consumption object; (Urry 2004: 25-26). However, Urry’s third, fourth and fifth systemic components are arguably incomplete in much of the non-Global North. These comprise: a) automobility as one of the most important examples of the technical-social nexus of modernity; b) the predominant form of quasi-private mobility with other forms of movement subordinated; c) dominant in symbolic articulations of the cultural meaning of the good life and well-being (ibid). For the majority of post-socialist citizens, time-space has not yet been remade according to the logic of automobility. Access to a car, use of urban space, the symbolic meanings of mobility, remain inflected by socialist-era forms of modernity. Consequently, while the – predominantly male – driver may well appear as a techno-social-cultural assemblage (ibid; Thrift 1996), that assemblage is ‘put together’ out of the particular collision of mobility, masculinity, and neoliberal categories pertaining to the post-socialist world. Just three examples of post-socialist mobility will suffice to illustrate this: the either/or of mass transit and walking remain dominant in many citizens’ everyday mobilities; ‘commuting’ by car is a minority sport. Many drivers (and particularly among working-class men) interpret ownership as a practical as much as symbolic achievement and their ownership as an economic hedge against the backdrop of a generation-long experience of socio-economic dislocation – i.e. a literal store of value and as a practical resource for income generation – as described below. The ‘good life’ and symbolic status, while important, are secondary or encompass modalities of enjoyment and leisure that are in contrast to those in the West (see, for example, Broz and Haback 2015, on the meaning of ‘day tripping’). As the same time as the affordances of the automobile may differ outside the Global North, the negative side of the car may not correspond. A sense of risk and uncertainty may increase with ownership. Automobility in Russia is particularly associated with the risks of accident and death, criminality, and corruption (respectively because of the infamously poor road maintenance and climatic factors, and an abysmal culture of driving where one can still illegally buy a licence without any training; the sense of the ‘wild’ open road populated by bandits and thugs, corruption whereby the highway police are viewed as worse than thieves). Few car journeys are seen as having the ‘seamless’ potential of point-to-point travel as in the Global North (Urry 2004: 29). If just one category – mobility – is capable of such a contrasting inflection, then what of its intersection with similarly different meanings of masculinity and the (newly emerging) neoliberal subject? Automobility may represent a kind of masculine ‘freedom’, as Urry argues (2004: 28), but it is one tempered by understandings of risk, economic uncertainty, the valuing of practical skills, and as the main ethnographic section that follows relates – a particular kind of homosociality. Most blue-collar workers can realistically aim for ownership of a basic Soviet-era AvtoVAZ Lada model (a low-tech vehicle based on the 1960s Fiat 124 and produced in large numbers until the early 2010s), or buy a ‘western-style’ car on rather crippling credit terms. Technical skills in DIY maintenance have long been desiderata for long-term ownership for three reasons: a) very poor road maintenance and severe climatic conditions; b) poor automobile network infrastructure generally – a preponderance of low grade roads and poor distribution of vehicle maintenance businesses; c) the simple construction of most Russian cars. ‘Tinkering’ in garage blocks with acquaintances also has a long history and is a significant part of working-class homosociality – among young and old alike (Morris 2016). Like the use of ‘sheds’ in Anglophone culture – the garage is a masculine reserve devoted to practical activity, often for its own sake; the car may never get completely ‘fixed’, but a lot of talk and drinking ensure that homosocial ties are cemented and broadened. Recently there has been a movement to give shed culture more of a communitarian ethic which is somewhat in contrast to its culturally-specific association with Anglophone individualistic masculinity (Cavanagh et al. 2014). 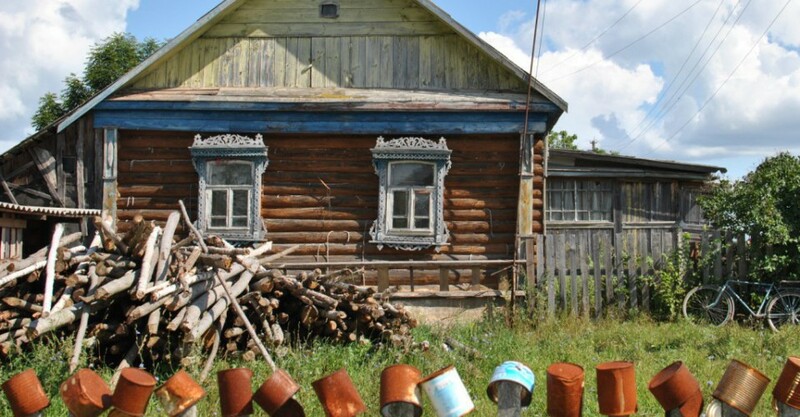 In contrast, Russian garage use is predicated not on the lone tinkerer, but only men coming together to reinforce bonds of competent masculinity – the garage can be cosy space of consociality, whether used as a bar or mechanic’s shop. Two visions of vehicular performative masculinity emerge within the social group, the first of which, represented by Petr is broadly understood as accepting of the neoliberal challenge of working on themselves to become flexible subjects of Russia’s harsh neocapitalist order (cf. Kideckel 2008; Morris 2012). His story represents the transition from work in a Soviet-type labour habitus to ‘making the grade’ in TNC production regimes. Petr’s ‘new’ working-class masculinity is entrepreneurial, striving, and progressive. Aspiring to ownership of a Western car goes hand in hand (and is the reward for) becoming a flexible neoliberal subject, taking on consumer credit, yet also delaying gratification. These dispositions are symbolised by the purchase of a ‘new’ or, more likely ‘nearly new’ foreign car, often on credit. Yet such cars are associated too with risk, fear and uncertainty; less used for leisure they are objects of reverence and nurture in a guarded garage block, where men pay ritual homage in cleaning and maintaining them. As Nikita notes: the car drives the man, whereas it should be the other way around. The second group examined here are those who choose to remain in lower-paid traditional industrial employment or even semi-legal informal work, represented by ‘Nikita’. They are wary of the new neoliberal order, seeing it as restrictive of autonomy and an unequal compact. To them the ‘contract’ offered by new work and new cars is ‘unmasculine’ – automobility is about the use of cars in the ‘now’ for pleasure regardless of the ‘risk’ of damage. The ‘risk’ to them is ownership on credit of a ‘delicate’ foreign car. Thus they interpret the care for cars by the first group as unbecoming. They compare this kind of car ownership to new production regimes: involving loss of autonomy and control over life (the car controls the owner). They emphasise a more traditional performative masculinity linked to ‘banger’ car culture that revolves around self-reliance, DIY skills and the car as source of eternally tinkering homosociality. For those that ‘give in’ to calculated self-moulding according to neocapital’s requirements, the social affordances: the garage, the key spaces and making of automobile masculinity, are lost. Thus each group’s competing versions of masculinity are linked with either adapting masculine personhood to neoliberalism or not. A particularly classed performance of gender comes to dramatize the response of persons to changes in production regimes and the advent of the neoliberal order more generally. The significance of this case study lies in the need to acknowledge localized yet globally-inflected subaltern masculinities and how they intersect with similarly non-Global North working-class responses to both neoliberalism and automobile versions of global modernity. The social self-organisation of working-class men through the shared experience of automobility and the continuing class salience of the compressed social space of the small industrial town sees subaltern masculinity reconstituted as a meta-occupational community of confrères. Just as they are hailed by the neoliberal reconception of the labouring subject, the spaces of masculine automobility also produce alternative responses. The Russian case shows the need to acknowledge both the constrictions of working-class masculinity after the socialist project – it’s doubly subaltern positioning, but also the anchoring and solidaristic communities of the former second world that remain; automobile working-class masculinity is a site for the production of ‘small agency’ in the face of the onslaught of the neoliberal processes of self-making. Here, retreating into garage spaces, men articulate and perform practices of homosociality and car-dom that articulate, if not enact alternative forms of personhood to those offered by the TNC. Russian men’s automobility – and ‘garage culture’ is an ideal site to witness how hegemonic masculinity is renegotiated, refracted in a particular way both in relation to and in contrast to the West. Many Russian men are subject to symbolic violence and unable to ‘propertize’ working-class masculine identity (cf. Griffin 2011: 255, and Skeggs 2004). But this study would also suggest that Skegg’s search for autonomist working-class values is not in vain (2011); automobile worker-masculinity is a project of personhood inexorably bound to, yet revealing the limits of projects of neoliberal globalization (Connell and Wood 2005). This entry was posted in automobility, Bev Skeggs, car culture, Charlie Walker, field work, garage, gender, Global South, governmentality, informal economy, Kideckel, Lazzarato, masculinity, mechanical turk, neoliberalism, subaltern, Urry, working-class on 28/02/2017 by Jeremy Morris.